As you’re probably already aware, there are A LOT of different websites and apps that allow one to make money fast by completing online surveys from the privacy of their own home. But the problem is…Lots of people who could really benefit from one of these programs fail to take advantage of these opportunities either because the ones that they’ve tried didn’t work or they’re worried that they aren’t “safe” to use. This is why…We’ve chosen to write this article about the Survey Club so that if you are considering trying one of these money making apps for yourself, you can do so without having to worry about whether or not it’s a scam! So, what is the Survey Club? Survey Club is a website that has partnered up with various companies to help them receive “feedback” via surveys about their products. Survey Club’s value to these companies lies in the fact they have access to 1000’s if not millions of individuals willing and able to perform surveys for money! Now is Survey Club a legitimate company or is Survey Club a scam? Like any online program, it’s always a good idea to do a bit of research about who you’re dealing with before you “sign up” for anything. This is why it’s nice to see that the Survey Club isn’t some “fly by night” organization and has been doing business since 2005! How does the Survey Club work? Survey Club works by first requiring you to become a member and complete a profile page on yourself which will then be used to “pair” you with appropriate surveys that you may be eligible for. From there…You’ll then begin receiving email notifications about possible surveys that are available for you to take which you may or may not be eligible for. When folks complain about the Survey Club, they usually complain that they either receive WAY too many emails from them or they complain that they simply don’t qualify for many of the surveys that get sent to them. Now…What surveys you will and won’t qualify for will be solely based on the requirements determined by the company requesting the survey to be taken so we’re not really sure if there’s really anything you can do about that. That said however…Getting a million daily emails from the Survey Club to your primary email account is going to be annoying. This is why if you do choose to become a Survey Club member, we recommend that you use a “secondary” email or a “junk email” account so that you don’t let this issue drive you mad! How Much Can I Make With Survey Club? Similar to other survey completing companies, the amount of cash you will earn as a Survey Club member will ultimately depend on how many surveys you’re able to qualify for and complete. In general, what we have found is that the longer it takes to complete a survey, the more money you will be paid for having completed it. That said however, you’ll generally only be able to earn a few cents to possibly one or two dollars for every survey you complete. So…It should go without saying that you’re not going to become independently wealthy using the Survey Club. But… if you go into it with realistic expectations, we believe that you may find the experience a “fruitful” one and one that you may actually enjoy doing. How do I get paid by the Survey Club? Survey Club members can be paid via PayPal, Amazon gift cards and through receipt of a Prepaid Debit Mastercard. It should be noted however, that members will need to reach a $20.00 account threshold before a payment will be made by the Survey Club so this is one thing you should keep in mind as you being participating in the program. Is the Survey Club Legit or is it A Scam? No, in our opinion, the Survey Club is not a scam. In fact, we firmly believe that it is a legit company. 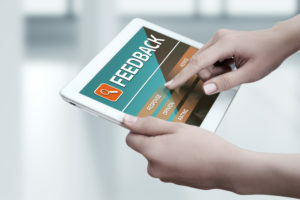 In our opinion, most of the negative comments about the Survey Club seem to stem from an “unrealistic” expectation about how much you can actually earn by using it as well as from folks upset by the amount of emails that they actually receive from Survey Club. So…As long as you keep your expectations in “check” and you use a secondary email to set up your account, chances are you should have a pretty good experience making a few bucks each and every month using the Survey Club. “Why is a company like TermLife2Go writing a review of the Survey Club? That’s simple, we’re writing our review of the Survey Club today because our primary goal here at TermLife2Go is to help improve the financial security of all of our clients. And while we believe that purchasing term life insurance is a great way to do that, we understand that not all of our clients are going to be able to qualify or afford a life insurance policy at this time in their life. (Interested in knowing what it would cost, just click here Term Life Insurance Quotes). And rather than…Just hang up with folks who aren’t “ready” to purchase a life insurance policy, we like to provide tools that might be able to help their future outlook until which time they can qualify or afford a life insurance policy. Other than that…There really isn’t much too it. We are simply looking out for ways that our visitors can make some extra money. So, if you decide to use the app, great! If not, no problem we hope that you find some other way to be able to earn a few extra bucks each month.